Boston, MA – March 19, 2019– ITK Solutions Group, a privately-held company that uses business process optimization and technology to help Retailers (and beyond) accelerate their Digital Transformation, announced today the addition of three new Retail specialists to the ITK team. “There is a very real need in the Retail marketplace for folks who know technology and how to put it use to solve the serious challenges that exist in Retail – and we’re expanding to meet that need,” says Sam Coluccio, co-founder of ITK Solutions Group. Hugo Marin joins ITK as a D365 Finance & Operations (F&O) Consultant. Hugo is a problem solver at heart who comes from an Operations background: President, COO – Margaritas Management Group, COO – Al Copeland Restaurants, VP of Operations – Ted Montana Grill and Dir of Operations – Cheesecake Factory. Hugo is always looking for solutions beyond how things have been done. His diverse background includes multi-unit retail operations management, project planning & systems development, multimillion–dollar P&L management, facility management, troubleshooting & change management, risk management and inventory, purchasing and negotiating skills, vendor sourcing & negotiating, market analysis, prime cost controls, guest relations, human resources management, team building & staff retention programs. The ITK team establishes long relationships with former co-workers and clients (of which Hugo is one), and the ITK team is looking forward to Hugo coming on board. Andrew Reeck joins ITK as a Senior Retail Consultant and is a POS and peripherals expert. He comes to ITK with experience with both AX2012 and D365 F&O. He’s worked on Retail projects with Equinox Fitness and Walt Disney Parks & Resorts, where Andrew was the Implementation Manager for new initiatives including Box.com, Zendesk, Salesforce and POS. Most recently he implemented D365 F&O for Retail where he was a Senior Consultant for the Retail work stream which included MPOS, CPOS, the D365 Retail Module and Retail PowerBI Reporting. He has overseen data migrations across all aspects of the retail process, testing and business process modeling. Andrew provides a deep understanding of how to leverage the tech tools of Retail and how they may be used in the coming years. Theo Rose is a digital transformation leader helping retailers and brands stay relevant in a digital world. Theo was the SVP Digital Transformation for Century 21 Dept stores, and was also a driving force behind transformation at Lowes, Marks & Spencer, Dollar General, Miroglio, PVH and LeSportsac. Theo has been named as a special consultant to ITK Solutions Group. He is a thought-leader with decades of experience in Retail and is a well- known expert, speaking on various retail topics at top industry events. Theo will help provide a view of what it takes to survive and thrive in Retail today and help us look around the bend of current retail tech trends to anticipate what’s next. The ITK Solutions Group team is comprised of business process and technology experts who help Retailers (and other companies) accelerate their Digital Transformation. The ITK team brings their business process and tech expertise to D365 F&O, CRM and POS projects. Founded in 2009, ITK stands out by bringing together powerful technological solutions with an executive level understanding of industry issues. The ITK team includes industry veterans who have successfully delivered some of the largest and most complex Retail implementations. This includes intricate business entity structures, multisite implementations and global rollouts. ITK helps businesses accelerate their digital transformation plans whether software is involved, or the project is focused on optimizing business processes. For more information, please visit www.itksolutionsgroup.com. First starters, how is this possible? The short answer is a Template Approach. It is an uber-efficient approach to ERP implementations that brings the benefits and efficiencies of a modern ERP system without the high barrier of entry – the large investment. However, a Template Approach is NOT for everyone. Here is a breakdown of the companies who ARE an ideal candidate and which ones are NOT – and why. How is it that companies – who have the biggest need of becoming more competitive and sharing data throughout their organizations – can now run their businesses with the efficiency of a Fortune 500 company? We leverage the 80/20 Principle. Here’s what we mean by that. Instead of mapping ALL of your processes, we spend time hunting down the areas where you have your own processes, but you don’t need to. Instead of reinventing the wheel, we use a tested-in-the-field process that gets results. We spend 80% of our time on the areas that will get you the most leverage. There is a catch, however. A Template Approach only works when you know the processes for your industry. Not every Software Integrator (SI) does; ITK Solutions Group does. When your SI doesn’t know the industry best practices for your industry, they can’t distinguish between the unique processes within your business and where to follow best practices. For some software consulting companies or SI’s, who know software but not business processes, this becomes a wild goose chase with suboptimal results. 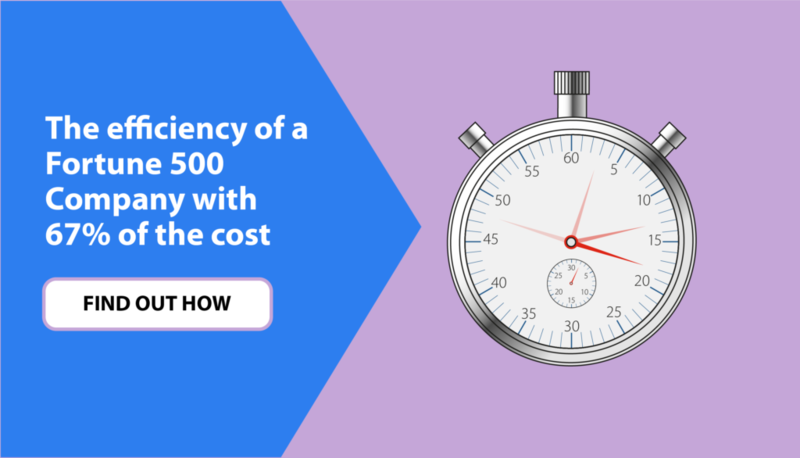 You can find out more about how to become a more competitive company that runs like a Fortune 500 company with our free white paper, A Template Approach to ERP Implementations. Or, if you have questions and are interested in finding out how to transform your business, contact Chris Fibbe at cfibbe@itksolutiongroup.com. Do any of these seven reasons sound familiar? These are one of the more obvious and common speed bumps in the close process. Using spreadsheets is one of leading indicators of companies who are good candidates for improvement in the close process. Spreadsheets have evolved over the years but they have their limitations. Like all tools, it’s important to use the right tool for the job. What they aren’t particularly well suited for is collecting data from disparate ERP systems and handing off that data. Using manual spreadsheets often add an average of 3-4 days to your close cycle. Plus, if you move off of spreadsheets you can help avoid the next three reasons: people, errors and duct tape. In a process that is largely manual speed is dictated by the pace of the slowest moving element. That means that you can’t close the books until you get whatever you need from other team members (who are often in another office). Your speed, therefore, will be dictated by the pace of the slowest moving individual. “Did Victor get pulled into crunching the numbers for that merger possibility? Great, that means we’ll be closing the books two days later this month. No, there is no “i” in close. This problem is an offshoot of people and manual spreadsheets. People are human. Even though finance people are often superhuman, they are fallible. That means errors happen. And when they’re caught, you have to go back and figure out what happened exactly. More importantly, you need to recrunch the numbers. It’s been said that there’s never enough time to do the job. But there’s always time to do it over. Imagine never having to do the job over because of a mistake. Yes, it’s possible. It looks something like this. Manual Spreadsheets. An ERP system in the US. Another ERP system in France. Perhaps another system in Sweden. You will have to essentially use Duct Tape to bring all these systems together. To bring all these numbers together. Closing the books isn’t going to be easy. Or is it? 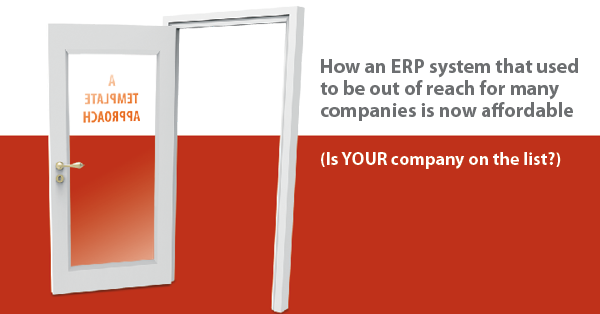 Imagine if there was a system that could bring disparate ERP systems together. That’s what Unit4’s Cash and Consolidations makes possible. It brings all your data together. And, unlike duct tape, it does it automatically. Click below to find out how it works. Vacations are important. There is more and more research addressing not just the importance but NEED for vacations. If you want to be productive over the long term, you MUST take time off. But what happens when Sven takes two weeks off and he’s responsible for consolidations for his region but everyone in the home office in the US is waiting for him. When Sven doesn’t provide his numbers then the global books can’t be closed. The solution is not to cancel vacations. And it’s not to ask everyone to work harder when Sven’s on vacation. It’s to work smarter, not harder. Like using software to bring all your disparate data together. Simply. Automatically. You may think you don’t have enough time to attend our 30 minute webinar, Shorten the Close Cycle, because you’re busy closing the books. But that is the very reason to attend. For some people involved in the closing process there are concerns that they won’t have anything to do. Often this is a time of constant, frenetic movement. Will someone think we’re not needed. Again, I think you’d be hard pressed to find a controller who couldn’t be leverage in a more strategic way beyond the transactional nature of their old job. Many companies close the books, they just don’t have a repeatable process to do it. A lack of an understanding of the critical path of the close and efforts to reduce the items in the critical path is often what gets in the way of an efficient close process. A company with multiple currencies, multiple companies can benefit from a process grounded in project management best practices. For the uninitiated that’s a systematic and strategic way to approach the close. Sometimes the close process that really isn’t a process is a product of “that’s just the way we do it here” thinking. 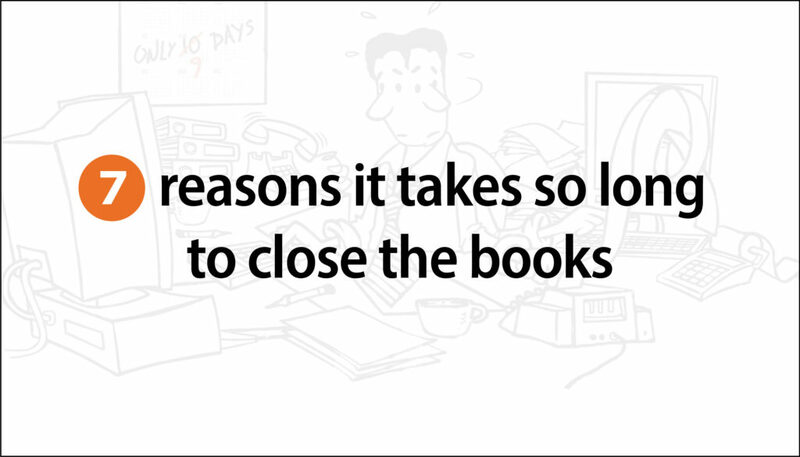 If, instead, you think of closing the books as any other project, you can remove reason #7 for why you may be taking so long to close. These aren’t just seven reasons it takes so long to close the books. They’re seven reason you should attend our 30 minute webinar, shorten the close process. If you’re using manual spreadsheets, deal with multiple currencies and have disparate ERP systems, this webinar is for you. Global SaaS software revenues are forecasted to reach $106B in 2016, increasing 21% over projected 2015 spending levels. A Goldman Sachs study published this month projects that spending on cloud computing infrastructure and platforms will grow at a 30% CAGR from 2013 through 2018 compared with 5% growth for the overall enterprise IT. To read the rest of the article, click here. Unit4, a fast growing leader in enterprise applications for service organizations, has been named one of the leading Expense Management solution providers in the G2 Crowd Fall 2015 GridSM report based on input from users. To read the rest of this article, click here. When we highlighted the mobile capabilities we are delivering to customers around the world with a seamless user experience across mobile devices in a ‘configure once, deploy everywhere’ model. Today we are unveiling some additional steps that build on these advancements and further strengthen our mobile capabilities. To read the rest of this article, click here. Microsoft has been setting the innovation pace for decades. The monster of Redmond, WA not only has a pipeline of genius tech on the horizon, it also has a host of technology available today that looks like it stepped right off the pages of a sci-fi novel. To read the rest of this article, click here.